872,896 people in 228 countries speaking 181 languages power Drupal. 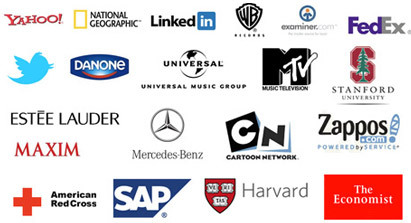 We have helped over 700 clients. Some of which, the largest websites in Africa. Drupal Powers some of the largest sites in the world. Benefit from our team knowledge gained through building hundreds of custom Drupal sites, we've worked on some of South Africas largest sites we understand Africa's website challenges. Our ongoing Drupal Support and Maintenance will give you the confidence you need to expand your website. Go big. Go bold. Go Drupal. Get to know us. Or find out about Drupal Support and Maintenance. 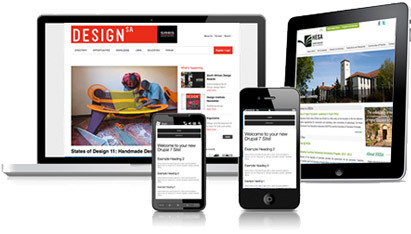 Your site designed to respond the small screen, with the needs of mobile users in mind. A mobile-friendly site can help your business connect with customers and increase sales, but a bad mobile experience can drive your customers to your competition. 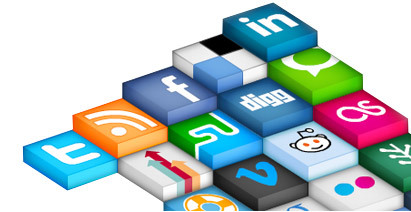 Integrate your Drupal website with all your favourite social media platforms such as Facebook, Twitter and YouTube. Have live Twitter feeds on your website or embed your YouTube videos straight onto your page. You can even have all your latest blogs on your site automatically send a notification to your Twitter or Facebook page, keeping all your followers and friends up to date without manually having to post to each social media platform. HTML5 is the cornerstone of the W3C's open web platform; a framework designed to support innovation and foster the full potential the web has to offer. CSS3 delivers a wide range of stylization and effects, enhancing the web app without sacrificing your semantic structure or performance.